Chris Bigras takes very little risks with the puck. That may be the reason he’s so highly regarded in this year’s stock of defensemen. He has a knack for knowing when to hold onto the puck and make a play himself, or dish the puck to a teammate and relieve pressure. A cerebral defenseman, Bigras has shown all season why he deserves to be so highly ranked. With great outlet passes and the knack for knowing what’s happening down the ice, Bigras has a great sense of the game. 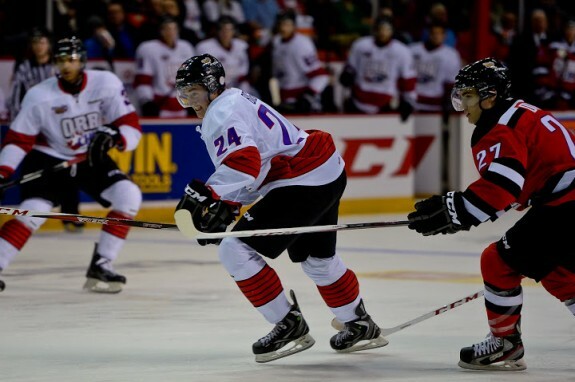 A steady two-way defenseman, the Owen Sound Attack blueliner takes pride on his ability to position himself to cut down angles, be in the play at all times, and make it easy for his goaltender to see the puck at all times. On the offensive side of the puck, Bigras can run a powerplay with ease and gets quality chances from the point. He doesn’t try to do too much with the puck and knows when and how to find the open man. With his head on a swivel, he can find teammates from anywhere on the ice. Rest assured, Bigras will get picked high in the draft. With his hockey smarts, he will do very well for himself in the NHL. There are teams in the later half of the first round that could use a defenseman of Bigras’ caliber. He can very well be taken in the first round, but if he slips to the 2nd, it won’t be for very long. 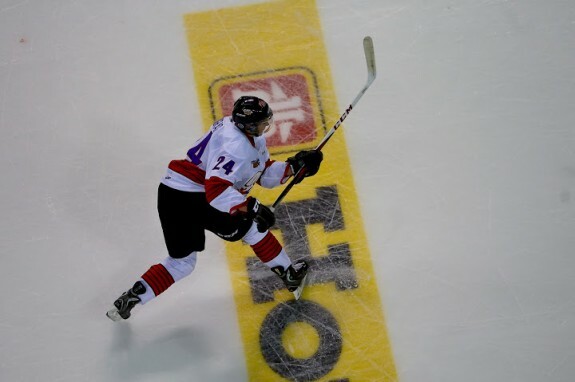 Bigras has played for Team Canada thrice – once for the U17 team and twice with the U18 team. In 18 games he has one goal and four assists. – Bigras’ game is reminiscent of Paul Martin of the Pittsburgh Penguins. Martin exudes a great sense of the game and seems to make the right plays at the right time. He can contribute on both sides of the puck, much like Chris Bigras.